Jiffy Lube is an American brand of automotive oil change specialty shops originally founded in 1971. 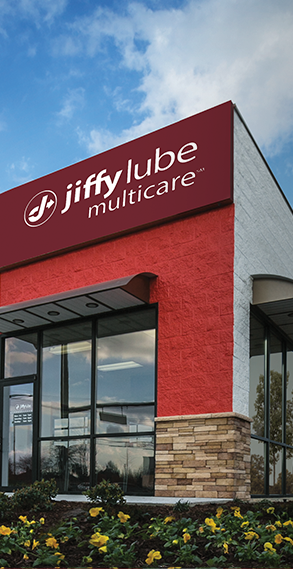 With over 2,000 locations nationwide, Jiffy Lube perform oil change services as well as comprehensive preventive maintenance to check, change, inspect, flush, fill & clean essential systems & components of your vehicle. This case study will display the marketing initiatives that led to an 8.1% increase in Comparable Store Sales for Jiffy Lube in 2018. As the competitiveness in the quick lube industry increased, it became increasingly difficult to simply lower the cost per click (CPC) for paid search. As such, we utilized modern conversion rate optimization (CRO) techniques to increase the percentage of users who downloaded coupons from their website & thereafter visited a store location. In an effort to ultimately lower the customer acquisition cost while simultaneously maximizing the number of new & repeat customers, we implemented advance work flows that catered to the customer’s specific vehicle needs & current user intent. Smashed Media also developed new ad campaigns for each major service type or media format that Jiffy Lube offered. Each of these campaigns opened the door to a wide-range of ad groups that targeted specific media types & conversion solutions. By using highly-focused ad groups our team was able to maximize ad relevance as well as keyword quality score. To drive increased traffic to Jiffy Lube’s website & optimize conversion rates for more high quality leads, we began highly-segmented search & display campaigns that effectively targeted the most profitable search terms. Utilizing advanced targeting strategies, Jiffy Lube saw an increase in account performance across the board. During the first couple of months working with Smashed Media, they saw an increase in conversions & a decrease in their CPA & customer acquisition cost. These positive results can be attributed to their ads receiving better exposure & their users having a more conducive UIUX experience on their website.